The population of the Republic of Trinidad and Tobago, totalling 1 262 000 inhabitants, is concentrated in the two eponymous islands, with the largest proportion (1 208 000) living in Trinidad. Geomorphologically, Trinidad (4 824 km2) unlike Tobago (300 km2) is not part of the Antillian volcanic arc, but adjoins the South American mainland. In two places, the island lies some 15 km from Venezuela, the one in the northwest on the promontory of Chaguaramas opposite the Paria Peninsula, the other on the southwest point of the island facing the delta region of the Orinoco. Initially a dependency of the Spanish Empire, then from 1797, of the British Empire, from 1889, Trinidad becomes part of a shared administrative unit with Tobago. The two islands become conjointly independent in 1962, with the same status as a number of other British possessions in the region, following the abortive initiative to create the West Indies Federation between 1958 and 1962. The Republic of Trinidad and Tobago is a parliamentary democracy headed by a president elected by an electoral college made up of members of the two assemblies, the Senate and the Chamber of Deputies. Its role is limited essentially to appointing a Prime Minister from within the elected parliamentary majority. Whilst the capital Port of Spain totals only 49 031 inhabitants (in 2000); its agglomeration, which spreads out along a west-east corridor towards Arima, totals around 300 000 inhabitants. San Fernando, Chaguanas, Arima, Point Fortin make up the remaining urban hierarchy. The presence of a large population originating from the Indian sub-continent represents a distinctive characteristic of Trinidad and Tobago's ethnic composition. The census published in 2000 showed that in the last decade of the 20th century, the population descended from Indian labourers brought in to replace the slaves of African origin, freed as a result of the English abolitionist laws of 1832, now for the first time constituted 40% of the total population, the largest ethnic group when compared with 37.5% Afro-Americans and 20.5% ‘Mestizo'. The remaining 2% were divided between those of European origin, and the Near and Far East. Contrary to the situation found on the South American mainland in nearby Guyana, this mixed population has not produced any major tensions from a strictly ethnic point of view. However, the resulting bi-polarity has acutely crystallised political life, sometimes attaining very conflictual levels around the two main political parties that now dominate at the beginning of the 21st century. Emerging from the independence struggle, the People's National Movement (PNM), whose emblematic figure head was the Prime Minister (1958-1981) and historian Eric Williams, is supported by the Afro-American section of the population. The Union National Congress (UNC), created by dissidents from the PNM in the 1980s, is the favoured political vector of the population of Indian origin. In the person of its leader Basdeo Panday, the 1995 election would bring, for the first time, to power a member of this community. In contrast to Tobago, Trinidad is free of the stereotypes habitually drawn when describing the socio-economic portrait of the islands of the Caribbean. Amongst those indicators that corroborate this view, two in particular serve to make the point. Firstly, one should note the much less significant role of tourism in the economy. Trinidad does not experience large numbers of tourists outside the few more adventurous North American cruise lovers who disembark from luxury liners occasionally calling at Port of Spain for a few hours. The trend focuses more around the notion of eco-tourism, orientated in turn towards the rain forest that covers half the island's surface area, rather than a coastline viewed as relatively unattractive by Caribbean standards. Secondly, and above all, it is the integrated energy sector that dominates the economy, thanks to abundant sources of hydrocarbons contained in the island's sub-soil and the sub-ocean floor within the Exclusive Economic Zone (EEZ). The bi-products of hydrocarbons include not only the extraction of petrol, but equally the liquefaction of natural gas, the source of various petrochemicals when transformed. Accordingly, the country is amongst the most important world producers and exporters of ammonia, methanol, and urea. At the same time, Trinidad and Tobago conform to certain elements of the Caribbean model as seen for instance in its insularity, its multi-ethnic character, indeed its multi-cultural population, whilst remaining markedly different in respect of its economy. Figure 2 shows the important variation contained in its sectoral distribution by comparison with the other CARICOM states. 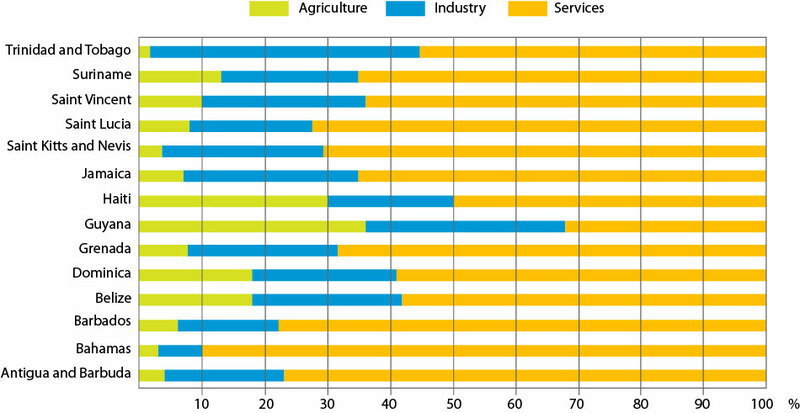 Proportionally, Trinidad and Tobago are both the least agricultural and the most industrial, Belize and Haiti apart, as well as the country where the service sector shows the lowest employed percentage. Note however that the industrial advantages which benefit the country also raise a number of questions as to their damaging intrusion within reputedly fragile natural environments. The advantage over other states of Trinidad and Tobago's atypical economic profile, characterised by the dominant role of its integrated energy sector, would lead the country to aspire to a leadership role within a Caribbean regional context, otherwise marked by a juxtaposition of states presenting a series of handicaps. The aim of this paper is to demonstrate the ways in which this incomplete economic pre-eminence is being managed. From several points of view, the emergence in the second half of the 19th century of the major exploitation of hydrocarbons on Trinidad proved remarkable. 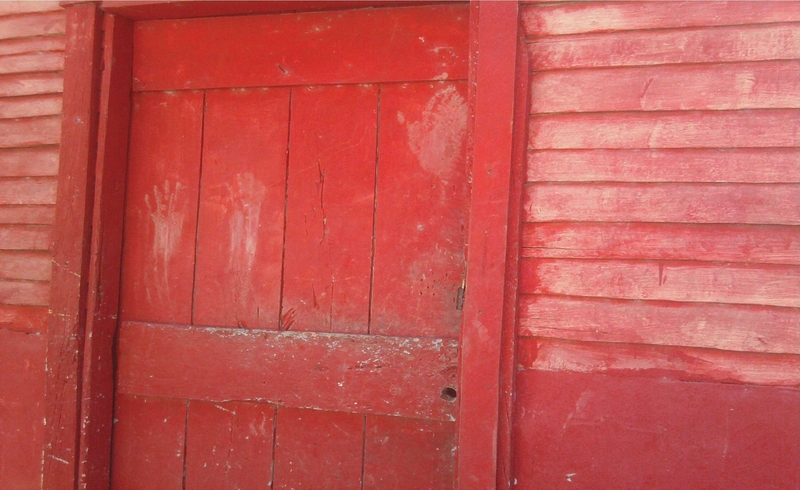 This intrusion into an island environment totalling less than 5 000 km2 represented an exceptional diversification of a Caribbean island economy hitherto solely dependent on agricultural production defined by its colonial history. The development of this new activity did not emerge on its own, even if the genesis of this industry here may be viewed as the oldest in the world. The first development starts with the sinking of a well in 1857 in the La Brea sector by the American Merrimac Oil Company (Brereton, op. cit.). This region in the southwest of the island is noteworthy for the presence of an asphalt lake, ‘Pitch Lake,' a geological curiosity from which was extracted a substance whose properties Raleigh had already recognised as suitable for caulking his ships on the occasion of a raid on Trinidad in 1587 (Giacottino, 1977). The surface occurrence of Pitch Lake proved the existence of a considerable source of oil below ground, which had been covered over by an ancient forest. The extraction of this asphalt1 should be distinguished from the hesitant first steps during the same period, and in the same sector, to extract oil. In effect, whilst the production of asphalt, used mainly to surface the roads of Washington and even two Parisian boulevards,2 continues to increase until 1913, reaching a maximum of 206 000 tons, that of drilling for oil would experience a much bumpier ride. With the impetus of several precursors, a pioneer activity thwarted by a number of problems arising from issues of public health and logistics, takes shape on Trinidad over a period of 10 or so years. In terms of achieving profitability, these early entrepreneurs found themselves having to cope with the risks of restricted demand, essentially emanating from the provision of urban lighting. This primordial event, during which the petroleum is transported by sea to the United States and Britain, marks the key date. Effectively, it comes too early as the needs of the newly emerging market are rapidly met from the oil field discovered in 1859 by Captain Drake in Pennsylvania. The real launch of the industry on Trinidad comes in the early years of the 20th century, just when demand linked to the development of the automobile driven by internal combustion, experiences considerable expansion. This new situation allows investors to anticipate potential expansion despite the continuing problems linked to sanitary considerations, terrain constraints and limited investment capital. The main impetus is finally provided by the colonial authorities as they realise the full potential of Trinidad's oil resources. The latter becomes a strategic resource in the context of the British Empire, just when new demands by the Royal Navy fuel growing consumption. From 1909 to 1914, annual production grows from 47 000 to one million barrels. The island supplies a large part of Britain's refuelling needs in time of war. In 1916, a first refinery is built at Pointe-à-Pierre, the centre of a whole network of pipelines converging from different oilfields. The refining facilities account for 80% of crude oil, producing a diverse range of products such as fuel for warships, kerosene, petrol, and different types of lubricant. Progressively, the refineries at Pointe-à-Pierre and Point Fortin begin treating crude oil imported from other centres of production. 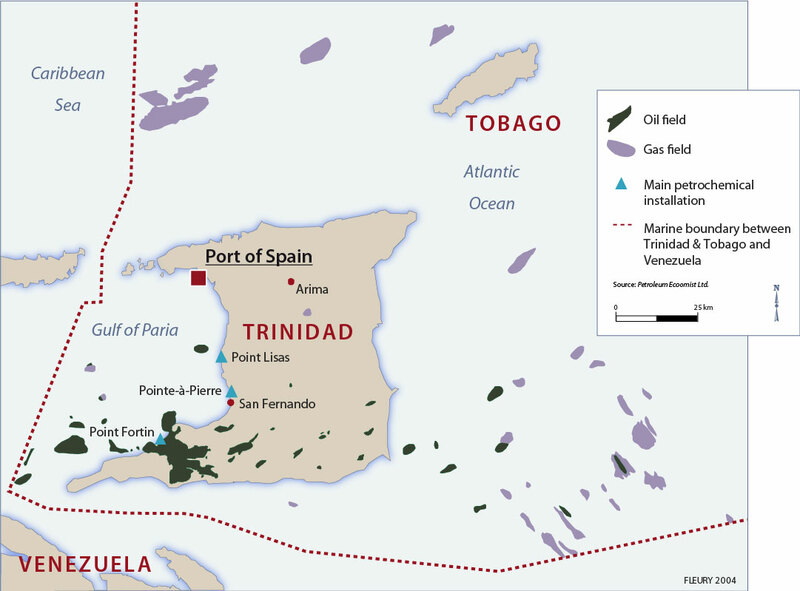 The oil boom in Trinidad is helped by the fact that Britain low confers the ownership rights of the sub-soil to the proprietor of the land above. Not surprisingly, tens of companies are created essentially by the landowners. In 1930, the oil concessions represent 11.3% of the total area of the island, almost all concentrated in the southern districts. As such, Trinidad becomes an unprecedented development pole in the Caribbean, attracting in its wake a workforce from the smaller islands that can no longer depend on the sugar industry, now fallen on hard times. In 1944, the petroleum industry accounts for 80% of the island's exports, the highest proportion reached during the Second World War, whilst employing only some 15 000 workers, far less than that in the agricultural sector. The next stage in this history of the exploitation of hydrocarbons relates to offshore drilling in the 1950s. The marine sectors, in the Gulf of Paria to the southwest, and in the Atlantic to the southeast become the focus of new concessions, of which the first companies to benefit are Texaco, Shell and British Petroleum. This offshore oil accounts for an increasing share of the total production which by the end of the 1960s matches that of the mainland, with a much higher rate of productivity per well. 1. estimation 2004 ; 2. 2002 ; 3. 2003 - Source: CIA World Factbook, 2004. The disturbances of the 1930s culminate in those riots of 1937, and the deaths of several protesters. Occasionally exacerbated by the Pan-African ideas promoted by Marcus Garvey and George Padmore, these events propel Trinidad into that chorus of countries possessed of an increasingly organised, vocal, and protesting working class. Beyond the specifically economic aspect of the development of the oil sector, the structural role of the industry's impact on social relations would prove a key element. Moreover, but without exaggerating its growing reach and influence, the organisation of the working class on Trinidad allowed the local protest movements to become part of a more global movement favouring dialogue and openness unprecedented in the region. Whilst the transfer of agricultural workers from distant Asiatic lands, and organised within networks internal to the British Empire, represented a form of passive integration, Trinidad would seek to create a more engaged integration through the protests of its Caribbean workers in the oil industry. He plays down union and socialist demands, in contrast to the situation prevailing in Jamaica where Norman Manley, and in turn his son Michael, allows them representation in government within the agreed democratic alternation. Williams' regional policy may be defined as a subtle navigation tempered by ambivalent relations withthe United States. His ideological hostility towards Cuba and the scale of American Interests in Trinidad's oil sector makes for good relations. But his haughty posturing over issues of independence as well as his sensitivity to the black cause, leads him in 1970, for example, into defending the Haitian dictator Francois Duvalier, then in clashes with the Nixon administration (Basdeo and Mount, op. cit. ), thereby for the great power being himself seen as a demanding regional interlocutor. This view is reflected in a comment by the American Secretary of State, Dean Rusk, in a confidential note to President Johnson in 1964 characterising Williams as “a brilliant, unpredictable, and difficult man.” With regard to the Caribbean, under the direction of its Prime Minister, Trinidad and Tobago actively participates in establishing an alternative association following the demise of the BWIF. Williams attributes the latter to a divergence of views between Jamaica, in favour of a weak central authority, and Trinidad and Tobago which in contrast seeks a ruling centre endowed with extended powers. Other voices would underline the jealousies between islands and the weakness of the federal power (Basdeo and Mount, op. cit.). Whatever the rights and wrongs, the BWIF episode demonstrated the ineffectual process by which to instigate ‘a priori' a supra national policy. However, this failure did not obviate the unquestionable obligation towards the smaller pieces of the Caribbean puzzle on the need to provide them with a grouping large enough to make their voice heard on the international scene. The end of the BWIF certainly did no imply a definitive divorce in the sense that thoughts on the constitution of a viable Pan-Caribbean organisation were raised immediately. Rather than prioritising a political agenda, the immediate objective was to be first commercial and economic. From 1962 onwards, Williams proposes to the other Caribbean leaders that they consider an association based upon a model of regional cooperation of a type being developed notably in Europe. A series of meetings lead to the launch in 1968 of the Caribbean Free Trade Association (CARIFTA), which initially includes Antigua, Barbados, Guyana, and Trinidad and Tobago; joined a few months later by Dominica, Grenada, Saint Kitts and Nevis, and Anguilla,6 Saint Lucia, Saint Vincent, Jamaica, and Montserrat; then in 1971 by Belize. This first phase is judged to be a positive step towards the development of intra regional commerce. It encouraged states to go further in 1973, with an accord that led to the creation of the Caribbean Economic Community (CARICOM). The founding members in 1983 are joined by the Bahamas,7 then in 1999 by Haiti and Suriname, which are the first two members that are not part of the Commonwealth. The objective of this new organisation is three-fold. Reference to a common market is precisely in order to intensify commercial relations within the basin, developing the aims of CARIFTA. However, the desire to go further is found in the other two remaining axes of cooperation, namely the harmonisation of foreign policy of the member states, and the establishment of functional links in the areas of transport, health, education, and culture. These well-intentioned actions do not prevent the appearance of some internal dissent. But the latter does not dent the overall sense of Caribbean solidarity. This is certainly what one retains from reading the work of Sahadeo Basdeo and Graeme Mount, entitled Foreign Relations of Trinidad & Tobago (op. cit.). The authors equally support the idea, apparently in contradiction with that already described above, of an Eric Williams who positions his country in relative isolation, and who views Venezuela with the greatest mistrust. He would prove even less interested by the micro-states, implicated in enduring personal hostilities and often taking an opposition stance with Jamaica, the other major regional player, more so because of its level of population than for its economic performance. However, there is no question but that the Republic of Trinidad and Tobago has always been at the heart of Pan-Caribbean, supra national initiatives. The latter is true for the first two decades of independence. It is also true for those that followed. Its role and its actions have even visibly grown, for example in the active role it played within the Organization of American States (OAS), notably through the post of Deputy Secretary offered to the Trinidad and Tobago Ambassador to Venezuela in 1989, and especially in its contributing role to the foundation of the Association of Caribbean States (ACS). In the spirit of its promoters, this institution aims to extend its brief beyond CARICOM, a frame of reference judged too limited, so as to integrate other more far-flung regional partners. Once again, Trinidad and Tobago would take centre stage in the establishment of this new structure, based on the impetus given from the start by A.N.R. Robinson, Prime Minister from 1986 to 1991, and then simply by virtue of the fact that Port of Spain in 1995 was chosen as the headquarters of General Secretary of the organisation. The ACS is best understood as an attempt to “conjure up the spectre of an economic and political marginalisation” by going beyond “habitual cleavages between notably, the English-speaking and Spanish-speaking worlds” and by reminding peoples of the region of the seemingly, at times, fragile principles “of democracy, of thestate, of law, and the Rights of Man”8 as well as by promoting the protection of the region's environment. Extending the membership of the new association took off in two directions. On the one hand, it welcomed non-member island territories of CARICOM like Cuba, the Dominican Republic, or Martinique and Guadeloupe. On the other, it included mainland countries bordering the Caribbean basin, excluding the United States, particularly heavyweight interlocutors like Colombia, Mexico, or Venezuela. It is as well to remember that these countries are also members of major continental economic associations like NAFTA (North American Free Trade Agreement) or MERCOSUR (Common Southern Market), and that the ACS saw itself as transitional between these different blocs. One could also add the European Union to the list of targeted bodies, in as much as the polymorphic status of Caribbean territories included European partners, whether associated or observer amongst the various dependencies of the region Outside France, the latter is equally the case for the Netherlands in respect of the Dutch territories. However, the path towards political integration is routed by way of CARICOM. The latter still constitutes the kernel of regional cooperation in the Caribbean, given the relative homogeneity of its members which apart from significant differences in size of territory and population might fear a dilution in identity of the island Caribbean9 when set in a wider grouping dominated by mainland states with their very different economic make-up. One begins to see to what extent the question of supra national region building and the various spheres of competence become crucial importance in the Caribbean context. In the totality of ambivalent relations that unites the states implicated in such an undertaking, the question of ‘leadership' inevitably arises. In the case of CARICOM, it arises first by default. Marginal variations and differences impact on countries where otherwise their population composition and size should ensure a dominant ranking. There is little point in commenting on the present status of Haiti, the most populous CARICOM member state. Cuba and the Dominican Republic, the two other highly populated centres, relatively speaking, of the Caribbean archipelago, are not members for other reasons. Firstly, they are both Spanish-speaking countries. Even though no dogma attaches itself to language, as demonstrated in thecase of Haiti,10 this issue cannot be ignored in the case of the Dominican Republic where the question of integration has never been really raised, even though in 2001 the country signed free trade agreements with most of the member states. Elsewhere, despite a certain level of sympathy, which periodically comes to the surface in diplomatic circles,11 Cuba's marginalised political status prevents it from a leadership role in the region, which its size – 110 000 km2 – and number of inhabitants – 11 million – would normally dictate. However, given their economic performance that could be more positive and better distributed, Trinidad and Tobago appear to be oscillating between on the one hand asserting their individualism, a direction generally supported by the foreign observers consulted; and on the other holding the line of solidarity, the over-riding tone found in the official discourses. The substantive evidence would suggest that the desire of senior government colleagues to commit themselves to regional integration is driven more by the symbolic than the economic. Port of Spain emerges as a Caribbean metropole because of its position as the headquarters of institutions like the ACS, the EU permanent delegation and the Caribbean Court of Justice. Even better, the city is a serious candidate for selection as the headquarters for the permanent administration of the future Free Trade Area of the Americas (FTAA). Major stakes involved reveal opposing bids notably from Panama City and especially Miami. The change of attitude from the Bush administration,14 a troublesome period exacerbated on the one hand by Manning's opposition to the Iraq war, and on the other by his acceptance of the dispositions of the International Penal Tribunal foreseeing the extradition of American citizens, would underline the relative strategic importance of Trinidad and Tobago on the regional stage. The continuing drive is intensively developing the oil and gas industries, notably focused on trans-Caribbean submarine gas pipeline projects, the construction of a second gas liquefaction plant, and joint investment partnerships with the United States, is more than ever an agenda item. 1 The terms bitumen, asphalt, and tar are synonymous. They refer to a natural product, the result of an evolving process affecting oil under certain conditions, notably exposure to open air. 4 Interview with Danayshar Mahabir, Professor of Economics at the University of the West Indies, 28 April 2003. 5 The author has chosen to refer to a single source, provided by the CIA World Factbook, in order to provide a common base of comparison between countries. This explains the discrepancy concerning Trinidad and Tobago with other statistics taken from the Central Statistical Office of the country. 6 In order to illustrate the occasional provisional status of territorial entities in the Caribbean, Anguilla represents a textbook case. After having formed a political entity with St. Kitts & Nevis up until 1971, it separates in order to constitute itself as a single independent republic, before requesting in 1980, and obtaining consent in 1982, to become a colony of the British Crown. 7 Alone amongst the 15 members, the Bahamas occupy a special status, in not belonging to the Common Market. Moreover, CARICOM includes as associated members the British Virgin Islands (1991), the Turks & Caicos Islands (1991), Anguilla (1999), Cayman Islands (2002), and Bermuda (2003). Note also the distinction used within the organisation with reference to “more developed countries” (MDCs) i.e. Barbados, Guyana, Jamaica, Suriname, and Trinidad & Tobago; as opposed to “less developed countries” (LDCs) i.e. all the rest with the exception of the Bahamas (www.caricom.org/). 8 These quotations are taken from Report n° 289, titled Association of the Caribbean States, presented to the Commission for Foreign Affairs, Defence and Armed Forces of the French Senate by Lucette Michaux-Chevry, Senator for Guadeloupe (1996-1997). 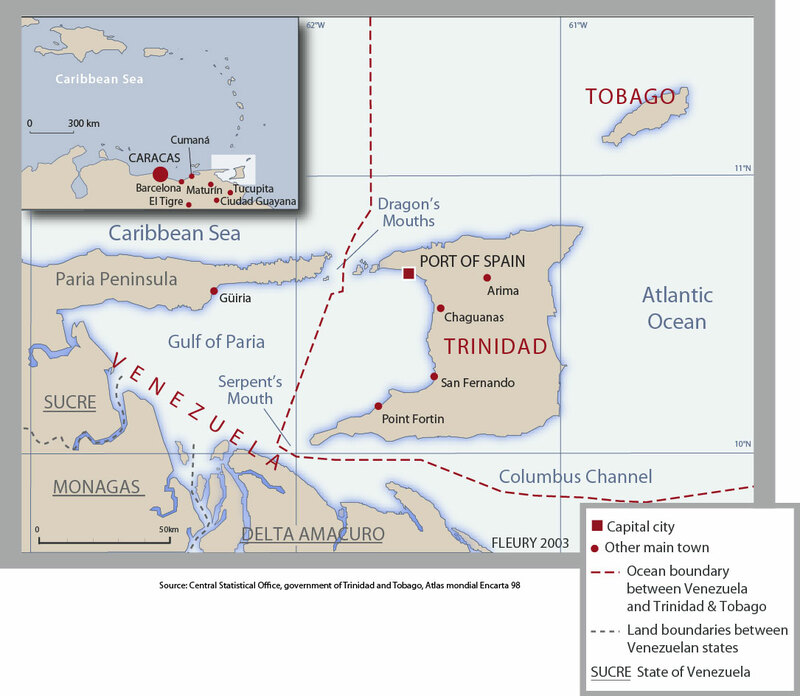 9 Three member states of CARICOM – Belize, Guyana, and Suriname – are mainland states. Whilst they are distinguished from other members by their territorial size, the same cannot be said in relation to their population size and wealth. 10 In Suriname, even if the official language is Dutch, English is “widely spoken” according to the CIA World Factbook, 2004. 11 Read for example the article entitled “Fidel Castro achève une tournée triomphale dans les Caraïbes”, published in Le Monde, 5th August 1998. 12 Interview with the EU representative at Port of Spain, 1st May 2003. 13 Title of an interview with Patrick Manning published in the Trinidad and Tobago Express, 7th March 2003. The two quotations that follow, giving the viewpoints of the Prime Ministers of Jamaica and Barbados are taken from the same article. 14 See article of 23th December 2003 titled “The conquest of the West by Prime Minister Patrick Manning”, www.ecaraibes.com.